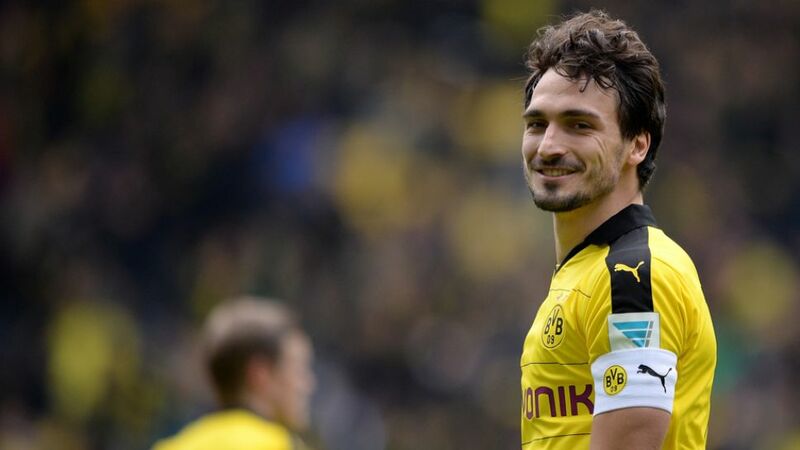 Borussia Dortmund captain Mats Hummels says nothing concrete has been decided, after BVB announced the defender wants to leave the club and favours a return to former employers FC Bayern München. The 27-year-old received a mixed reaction from fans inside the SIGNAL IDUNA PARK on Matchday 32, but was his usual rock-solid self as Dortmund thrashed VfL Wolfsburg 5-1 to keep the title race ticking over for another week at least. Question: Mats Hummels, it was a dominant 5-1 win over Wolfsburg. Purely in a sporting sense, were you able to enjoy it? Mats Hummels: We played superbly from the first minute. We took advantage of the weaknesses that we'd already uncovered in Wolfsburg's game. We completely dominated the game and did not give much away. Wolfsburg hit the woodwork, had a decent effort from range - that was probably it. It was a really strong performance from us. Question: What did you make of the reaction of the fans? Hummels: I think I must be the first player in history to be jeered by his own fans, even though no transfer has gone through. The club ought to give ad-hoc disclosure if a transfer is relatively likely. There's a 51 per cent chance. We'll have to see what happens in the coming days. Question: Do you think recent statements indicating that you've asked to move to FC Bayern perhaps added to the emotions? Hummels: Seriously, I haven't approached anyone. That's the biggest piece of nonsense I've ever heard. I have to say I really don't need that.